The 622 square mile area of Bucks County is a par­tic­u­lar­ly warm and wel­com­ing place with rolling hills, work­ing farms, and pic­turesque towns. Visitors in search of his­tor­i­cal or artis­tic trea­sures, charm­ing accom­mo­da­tions, and eclec­tic shops will find that Bucks County offers it all and is con­ve­nient­ly locat­ed 25 miles from Philadelphia and 75 miles from New York City. The coun­ty is on the far east­ern side of the state, where it shares the beau­ti­ful Delaware River as a bor­der with New Jersey. 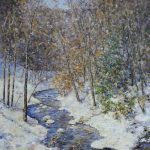 New Hope, the pop­u­lar artist colony, is one of Bucks County’s pre­miere trav­el loca­tions. Home of such renowned artists Daniel Garber and Edward Redfield, New Hope offers ele­gant art gal­leries as well as unique shops, over 30 fine restau­rants, and roman­tic bed and break­fasts. Add the his­tor­i­cal attrac­tions, like the New Hope & Ivyland Railroad, and you’ll find the town’s allure asen­chant­i­ng today as it was to so many emi­nent fig­ures of the past. The his­to­ry of Bucks County dates back as far as the late 1600s. Places like Pennsbury Manor, the 17th cen­tu­ry house of William Penn, or Washington Crossing Historic Park, where George Washington crossed the Delaware River, are great places fea­tur­ing a sam­ple of the exten­sive place in his­to­ry that Bucks County holds. The town of Doylestown itself offers sev­er­al his­tor­i­cal attrac­tions includ­ing Fonthill Museum, Mercer Museum, the Moravian Pottery & Tile Works, and the James A. Michener Art Museum, which all tell the sto­ry of cre­ative genius Henry Mercer by exhibit­ing his tiles, mosaics from around the world as well as fur­nish­ings and tools of ear­ly America. Bucks County is home to Sesame Place®, the nation’s only theme park based entire­ly on the award‐winning tele­vi­sion show Sesame Street. 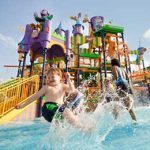 Kids and fam­i­lies enjoy the oppor­tu­ni­ty to sing and dance, play on thrill rides, and slide down water adven­tures with everyone’s favorite Sesame Street friends there to join in the fun. With plen­ty of parks, nature cen­ters and even work­ing farms, the coun­ty also offers plen­ty of oppor­tu­ni­ties to spend time togeth­er out­doors! 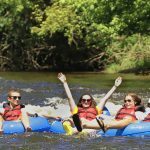 Check out the Bucks County Parks and Recreation site for all of the state parks and facil­i­ties for a full list­ing of all the fun and activ­i­ties avail­able. Or vis­it the Bucks County Children’s Museum where they pro­vide an envi­ron­ment that con­nects ALL chil­dren to the world around them and inspires learn­ing through PLAY. Whether look­ing for a unique gift, antiques, col­lectibles, or just a fun shop­ping expe­ri­ence, Bucks County has some­thing for you. Our com­mu­ni­ties across the coun­ty all fea­ture a vari­ety of malls and shop­ping cen­ters and amidst 42 acres of beau­ti­ful­ly land­scaped gar­dens and brick walk­ways is also Peddler’s Village. Here over 60 one‐of‐a‐kind spe­cial­ty shops pro­vide a unique and enchant­i­ng shop­ping expe­ri­ence. 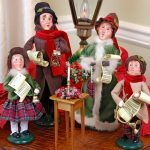 The coun­ty is also home to Byers’ Choice®, mak­ers of America’s beloved Caroler® fig­urines, where patrons can vis­it the premis­es and watch the skilled arti­sans metic­u­lous­ly piece togeth­er Caroler fig­urines by hand. Or savor a day along Bucks County’s Wine Trail, encom­pass­ing hun­dreds of acres of vine­yards. Book a tour indi­vid­u­al­ly with each win­ery to get edu­cat­ed on the skills of wine‐making or hop aboard the Tastings and Tours bus, where a local win­ery tour guide will facil­i­tate your expe­ri­ence of the beau­ti­ful views and award‐winning wines. Spend a qui­et week­end at a gen­uine coun­try inn or get cozy in one of the many charm­ing Bed & Breakfasts. There are also many con­tem­po­rary, con­ve­nient hotels or motels and beau­ti­ful camp­grounds. 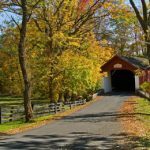 Bucks County can accom­mo­date every­one — with a wide vari­ety of explo­rations and adven­tures to fit every lifestyle! 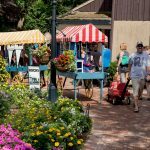 Find Something Great to Do in Bucks County Today!